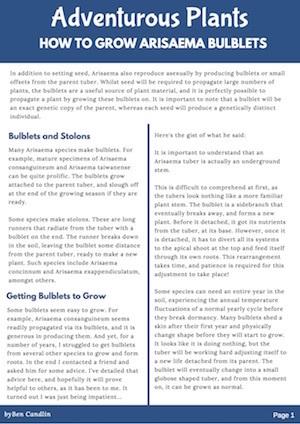 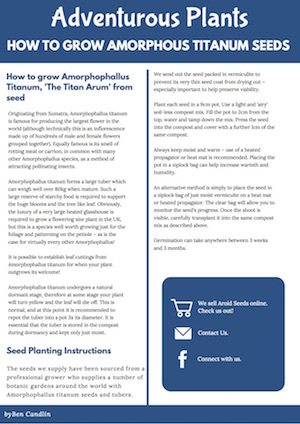 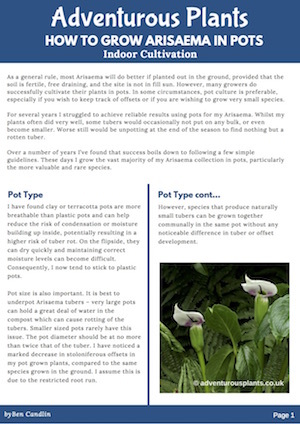 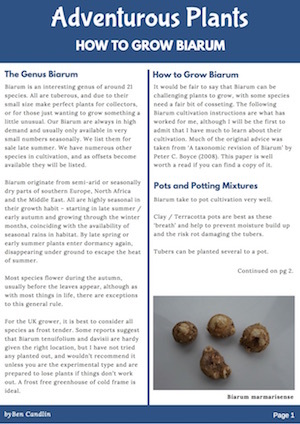 This page lists cultivation articles for a number of different aroid species. 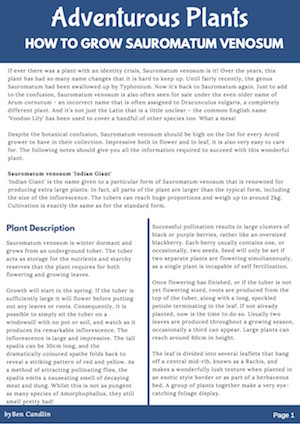 In time, more content will appear here covering a wider range of plants. 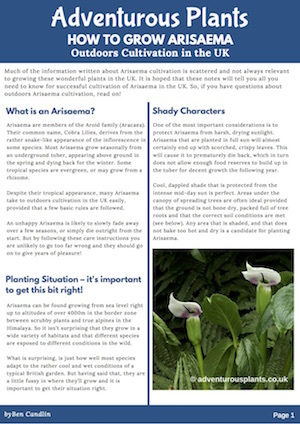 Each article is a pdf which you can easily view, download or print.